from just $4.95 per month. not sound like a lot, but is plenty when starting a website), and 200GB of data transfer. subscription is only one dollar more than the yearly ofering. 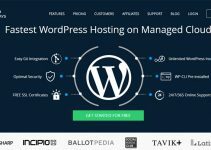 faster than most other options outside of RoseHosting. that has the extra leeway needed for a bigger site and more active users. 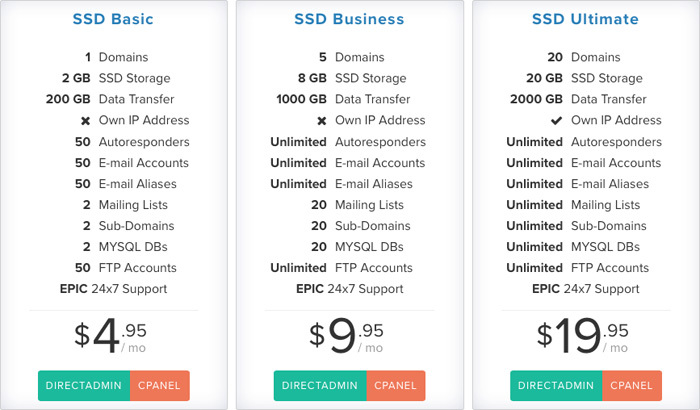 you can create a VPS with the specifcations of your choice. looking for a more permanent and long-term solution to hosting a website. also build a custom server, with its specifcations made to your liking. more appealing is all of the extra features not typically included with their competitors. Below are some features that are included with every plan. safety of daily backups, they also provide that for a small fee. Based on the reviews that RoseHosting has received over the years, it’s clear that they are exceeding at achieving their goals. 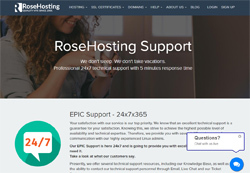 Other ways to contact them are available - such as their phone number at (888)-ROSEHOST, sending them an email, or by using their live chat system. 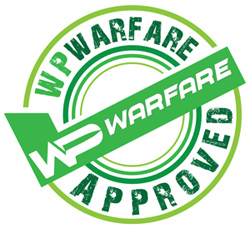 its quality of service and support, they are doing an excellent job. This hosting service excels at the courageous practice of under-promising and overdelivering. This is made very clear when you try out their service, as well as their support and live chat for the frst time. The tech support and live chat service is unlike any other hosting provider out there. they can also fx any issues with software or confgurations that you installed afterwards. with any issues, regardless if the server itself is already functioning properly. physical servers for entire company websites, all of the use-cases are covered. Q: Are the prices of their services good value when compared to the competition? Q: Where is their data center located? A: According to their site, their data center is located in St. Louis, Missouri. Q: Do they have Windows hosting plans? operating system for a server environment. Simply put, RoseHosting has earned our stamp of approval, thanks to several reasons. tried RoseHosting before, we would love to hear about your experience with them. 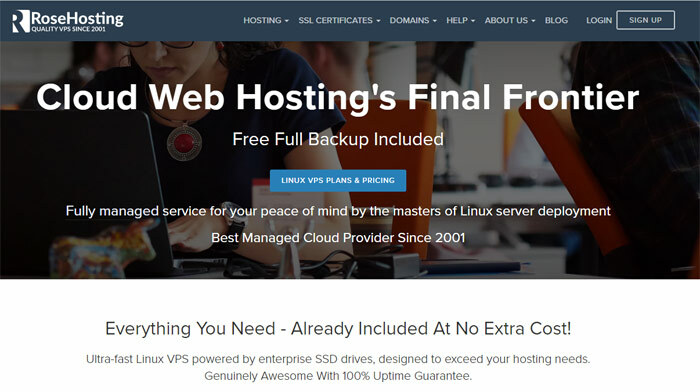 Summary: If you’re looking for a quality fully managed VPS, shared hosting or a dedicated server then RoseHosting.com would be a good place to start.